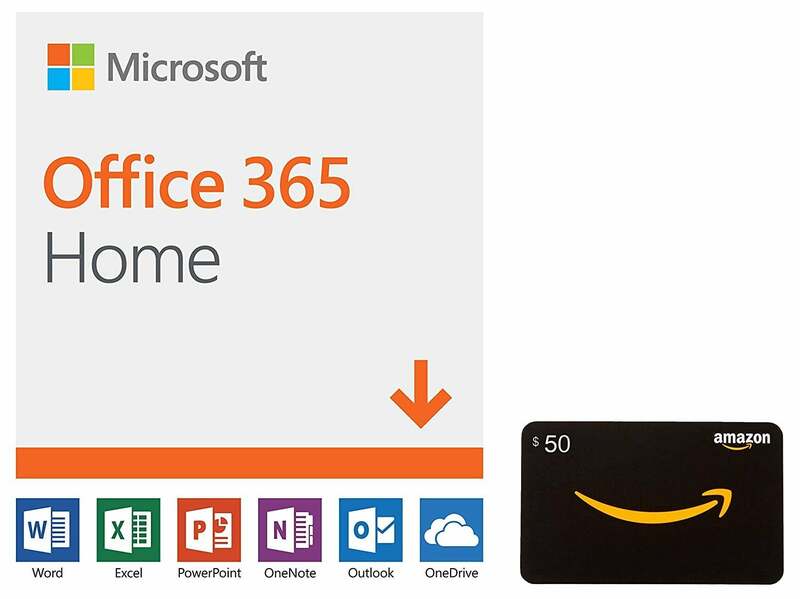 Get a 12-month subscription of Microsoft Office 365 Home with a $50 Amazon gift card just for $99.99. Subscription can be shared with up to 6 people and is compatible with PC and/or Mac. Stack this promo with this amazing Amex deal here. Q: How many people can I share Office 365 Personal with? A: Office 365 Personal is only available for one user. You can share Office 365 Home with up to 5 additional people. Q: Can I install Office 365 Personal on my Mac? A: Yes. Office 365 Personal work on both Windows and Mac. Q: Will Office be identical on a PC and on a Mac? A: No. Office applications are tailored for each platform. The Office applications available for Mac users and the specific features included may be different from those available for PC users. Q: What is the difference between Office 365 (subscription) and Office 2019 (one-time purchase)? A: Office 365 is the user-based subscription service powered by the Microsoft cloud. It includes the most collaborative, secure, and up-to-date features. Office 2019 is a one-time purchase and does not receive feature updates after purchase. Microsoft Office 365 Home – click here to get the deal.